As a raw material, wood harvested in a sustainable manner has a minimal effect on the environment. 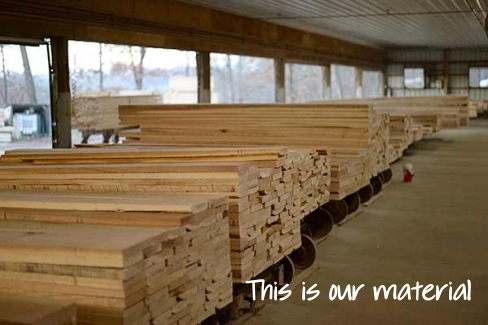 The consumption of wood generates no effect because it is a renewable resource. From Danish Environmental Protection Agency study on wood furniture. Danish LCA study on wooden furniture. The Danish Environmental Protection Agency recently reported on a study looking at the environmental impact of wood and wooden furniture using a LCA approach.15 The analysis took in the entire cycle from logging to processed products. As a raw material, wood harvested in a sustainable manner has a minimal effect on the environment. 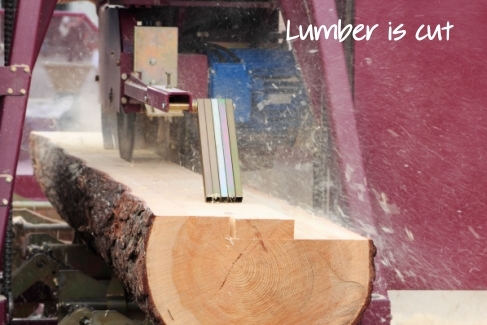 The consumption of wood generates no effect because it is a renewable resource. The impact is derived from logging and transport. The study found that wood is CO2 neutral. The CO2 liberated on combustion or decomposition is equal to the amount assimilated by the tree during its growth. The manufacture of metals was found to be energy intensive. The process of manufacturing the metals used a great deal of energy and also produced high CO2 emissions. The manufacture of metals also results in high levels of air and water pollution. Of the energy used to convert logs to sawn timber, a large proportion of that energy is supplied by wood waste, which is also renewable. In summary, all the studies suggested that the use of wood was significantly better for the environment. Health and safety should be a top concern when it comes to the furniture we buy for ourselves and our families. Since our average time indoors can be 90% of the day, good air quality is a must. Poor indoor air quality is often related to toxins in furnitures, and can cause all sorts of health problems like emphysema, asthma, headaches and fatigue. The two biggest culprits found in furniture that could foul up the air in our homes are VOC’s from glues, paints, varnishes and adhesives and PVC from finish materials. A good general rule of thumb here is that the cheaper the product is, the more toxic it most likely is. Check out Green Guard for more information. Avoid: Paints, finishes, and fabrics with VOCs and any wood composite materials (plywood, particleboard, MDF) which is not explicitly labelled as ‘non-toxic’ or ‘low-VOC’ (they likely contain toxic adhesives).